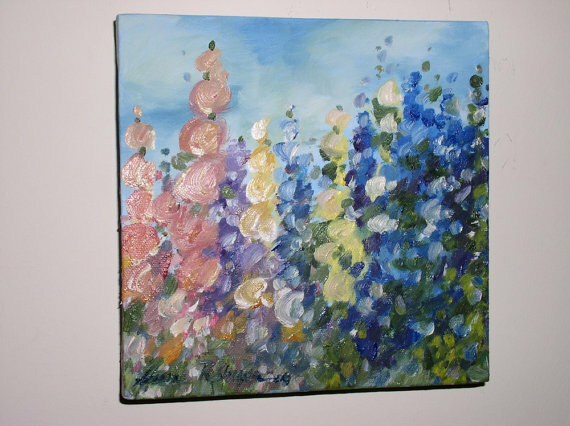 Nature Art Larkspur and Hollyhock botanical garden flowers original oil paintings by Laurie Rohner. A botanical garden flower oil painting, a colorful flower landscape is original nature art by Laurie Rohner. The original oil painting is a cottage garden of colorful flowers, pink hollyhock and blue and lavender larkspur against the blue sky. The painting measures 8 x 8 inches on wrapped canvas (3/4" deep) with staples hidden under wood on the back. 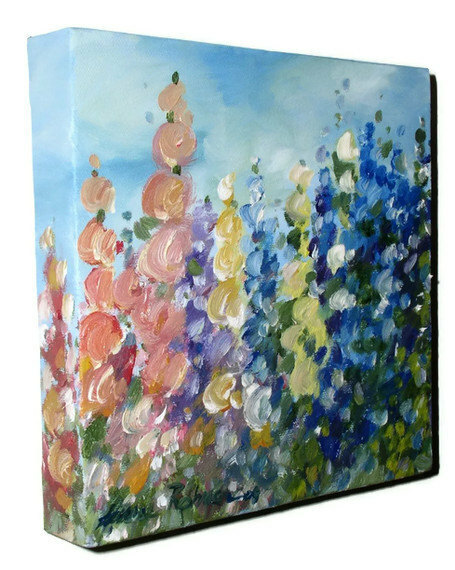 These paintings have beautiful color and a great finish from high quality oil paints. 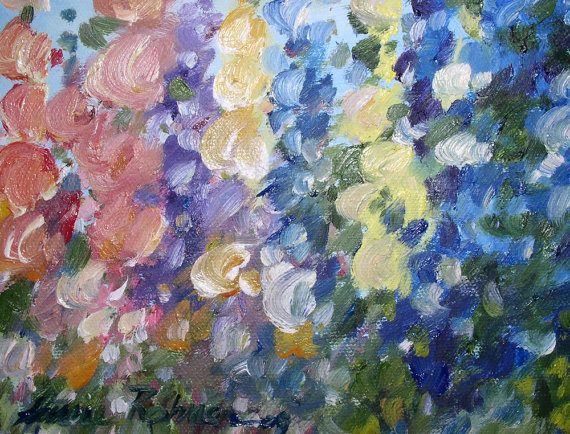 I painted this in a quick study of Impression, with the colorful blues, purples pinks and creams petals reaching up in the bright blue skies. I used a loose painterly effect. 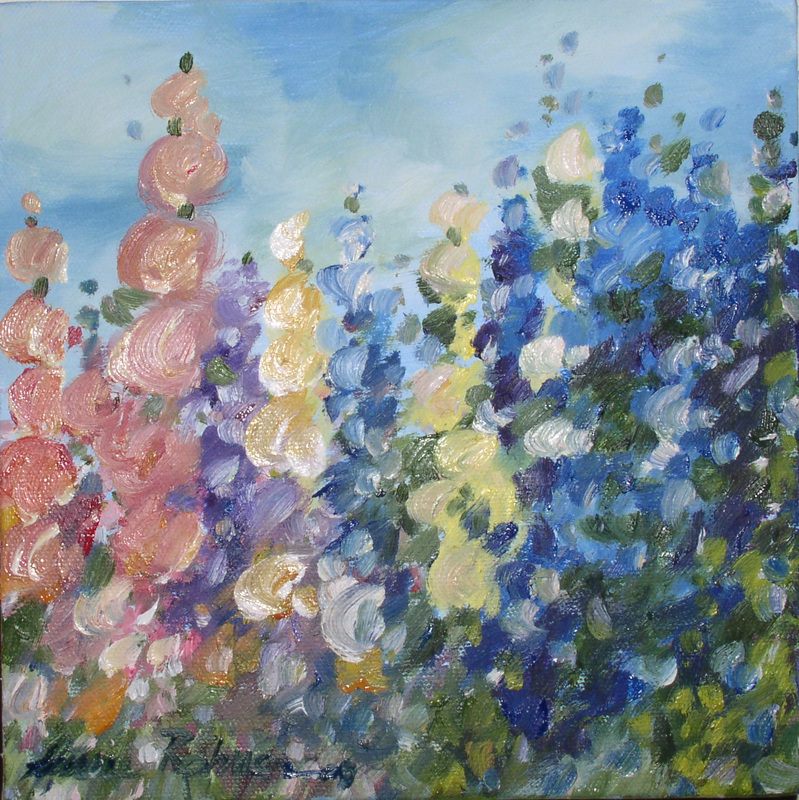 A cheerful painting that will certainly lift your spirits.